Branding should be a backbone of your marketing. Consistent fonts, tone of voice, and images create an instant connection between your marketing and your business. Tablets let you create advertisements that use all of these elements. Additionally, branding by distributors, the brands you carry, creates another level of connection: your store carries this brand. With tablets promoting ads about the products in the area they are displayed in, shoppers can be alerted of promotions about products that are within arm’s reach. Sellr Tablets allow you to display desired ads on specified Tablets so you know you are delivering relevant content to the area--cocktail ads with spirits, cigar ads with cigars, and not cigar ads with spirits. While content can be customized to the right area, it can also help shoppers find their way to other areas that carry complimentary products (and increase your upsell!). Cocktail recipes that use additional ingredients can let shoppers know that garnishes, tools, or other recommended preparation items are available and where to find them in your store. 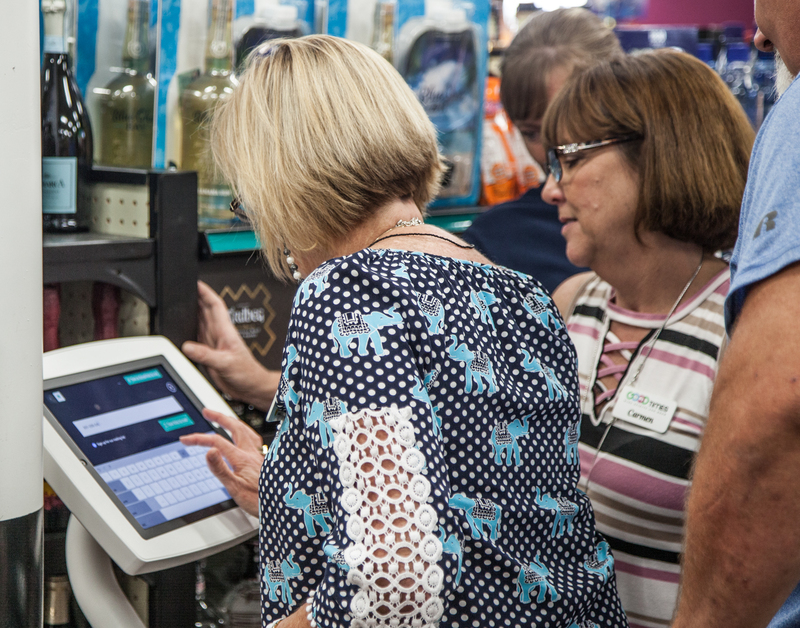 Tablets let your store be helpful to your customers. Personalized messages delivered to the point of decision respect their time and allow them to choose the right product for their needs. When followed by assistance in finding the rest of the items they may need, the customer experience is heightened. It is hard to ignore the number of times customer experience is tied to shopping experiences. Digital tablets let you be helpful to your shoppers, delivering customized messaging to the point of decision. This consideration of your shopper’s time and customer service detail helps you play up your advantage as a small retailer. These personalized experiences build the trust and reliability shoppers are looking for in a local business.